We run group ski lessons for juniors, and coaching groups for adults on selected dates according to demand. Look for blue dates in the booking calendar (Group sizes minimum 4, maximum 8). 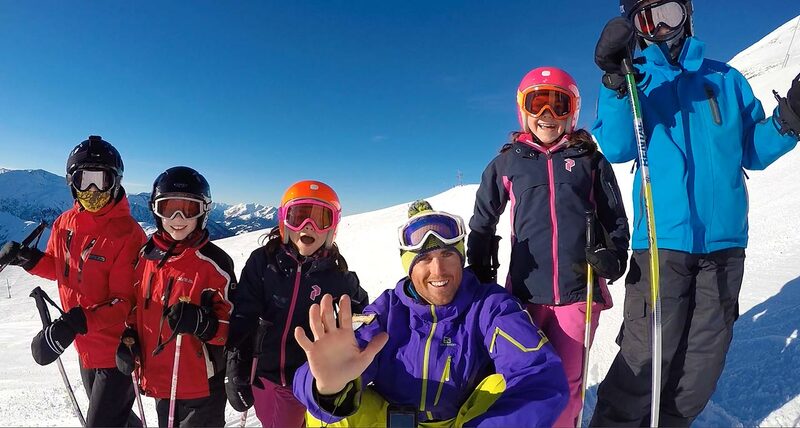 Our group ski lessons are available in Chamonix, Megeve, St Gervais, and Les Contamines. Our junior group ski lessons run during the main school holidays, running for 3hrs each day for 5 days. We can schedule more groups according to demand with flexible durations between 3 and 5 days (just let us know). Ages range from 6 years and upwards (We cannot accommodate under age 6 in group ski lessons without prior appointment). Blue Group: Skiers have been on blue runs, but need more development on them. Their skis are in a plough through the turn, and parallel at the end. Those who have skied with Freedom Snowports, or other British ski schools before. May have gained ski federation 3 to 5 star awards in their previous lessons. French ski school equivalent lesson awards are ‘Flocon’ to 1 star. Awards not required to attend. Blue groups are working towards basic parallel turns on greens and easy blues. Red Group: These groups tend to be regular visitors to us, or experienced skiers. Skiers in this group can ski the whole mountain keeping skis parallel through the arcs of their turns. Those who have skied with Freedom Snowports, or other British ski schools before. May have gained ski federation 6 to 7 star awards in their previous lessons. French ski school equivalent lesson awards are 2 to 3 star. Awards not required to attend. Red groups are working towards a variety of parallel techniques (carved, long, short) on all pistes. Academy – For junior skiers that have progressed through our junior groups. Achieving the top ski federation awards of 8 or 9 star awards. Our Academy groups work on the continued development of specialized skills that diversify the sport of skiing. These skills allow us to travel further, safer, and over more varied terrain. Which covers the main strands of skiing. Piste Performance, Steeps, Off Piste, Bumps, and Freestyle. 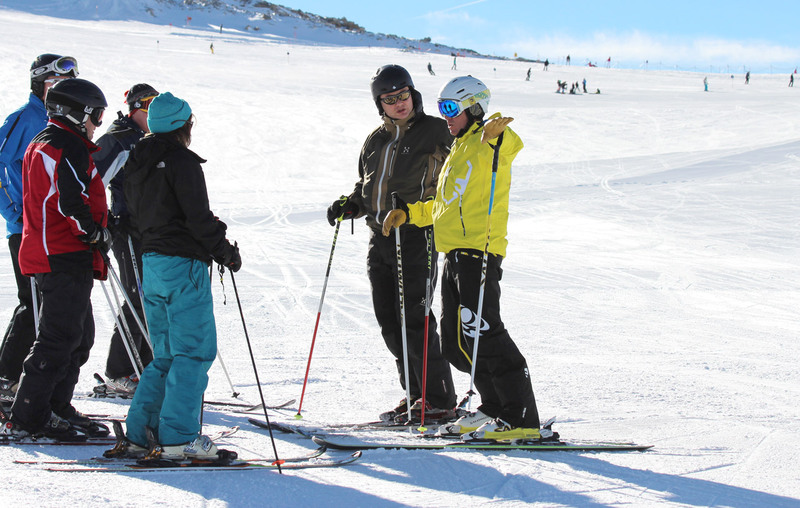 Skiers will also develop mountain awareness, understanding of safety procedures, and use of safety equipment. All of which go hand in hand with modern skiing. This respect for the environment that we ski in, and the skills we use is so often overlooked. But is the very foundation that keeps us safely enjoying the snow and terrain. To attend academy sessions, skiers must have previously attended our junior red group or a private lesson with us to be certain of ability level. Adult coaching groups run according to demand, so if you can’t see a session scheduled. Let us know that you’re interested, so that we can get one scheduled. Adult ski coaching groups operate in Chamonix, Megeve, St Gervais, Les Contamines, and UK snow centres in the summer. You can quickly and easily book any of our group sessions online, in just a few clicks. Groups require a minimum of 4 people to operate. So dont hang back, get it booked. In the unlikely event of low numbers we will always offer a refund, re-schedule, or exchange at an equal value. Whichever you prefer. You’ll receive personalised email & sms notifications from us, and your instructor. So you can feel at ease to communicate directly. We will send your confirmed itinerary after checkout. Then session reminders 24hrs before they begin, just incase. If you can’t find the sessions you want on a particular date. You can request email notifications to update you if availability changes during that week. Want to ski like a hero?